CHICAGO PERFORMANCE ON FEBRUARY 17, FRIDAY! -- We're days away from our performance in Chicago at the Hot House. It's the promoter's birthday that day as well, Eric Williams of the Silver Room (a great shop in the Windy City with all kinds of accessories and gear), who is also one of my supporters of the Routes project as a silver participant. It's going to be a kicking band again and I'm psyched to be back there. ROUTES CD RELEASED IN JAPAN -- Routes has hit stores in Japan on February 8, giving my Japanese audience another opportunity to check out this wonderful album (in my humble opinion!). The Tokyo HMV stores have really been supportive, with display stands and listening booths giving wider visibility to its release, which is much appreciated. FEBRUARY/MARCH JAPAN TOUR -- The days are drawing close to my upcoming Japan tour. For more information, check out my "events" link at my website. I'll be updating these as time goes on and I'm also working on getting a (bootleg!) mp3 recording of one of the rehearsals as well as the actual performance, so please come back to check it out! 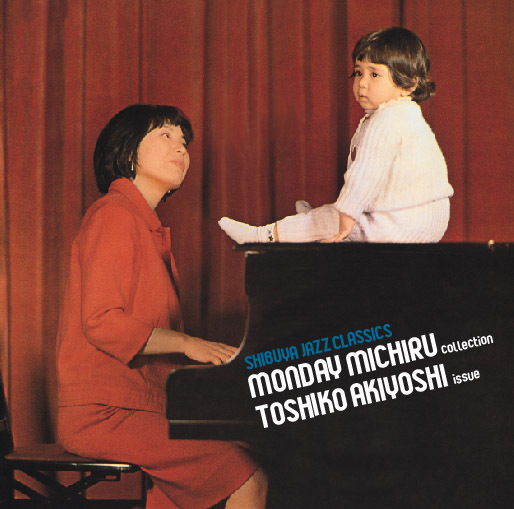 TOSHIKO AKIYOSHI COMPILATION OUT! -- The Shibuya Jazz Classic compilation of my mother's work which I was asked to select is now out in the stores through Ultra Vybe in Japan! The cover in particular is dear to me, a picture of me as a baby sitting atop the piano as my mother plays and looks at me with motherly love. I've posted the English liner note on my website, although the CD will have an edited version in Japanese.